Artificial sweeteners are frequently recommended by conventional dietitians as a practical way of replacing sugar found in the modern diet. I have mixed feelings about this strategy. I’m all for the widespread reduction of refined carbohydrates and both high and low glycemic sweeteners, including agave, high fructose corn syrup and raw cane sugar. However, I come across enough questionable research about nonnutritive sweeteners such acefulfame-K, aspartame and even sucralose that discourage me from endorsing their use as a reasonable alternative. Current studies conducted in animal models reveal that several of the most popular sugar substitutes provoke some rather alarming reactions in various species. Of late, aspartame (NutraSweet) has been shown to increase inflammation and oxidative stress in the brains of rats. Saccharin (Sweet’N Low) was recently found to contribute to an atherogenic lipid profile in zebrafish – which may have implications in the development of heart disease. Splenda or sucralose is partially composed of sucrose, but it isn’t supposed to affect the body like sugar. How then does one explain why crustaceans exposed to sucralose exhibit sugar-like behavioral changes typically associated with “toxic mechanisms or stimulatory effects”? Finally, Acesulfame-K (Sunnett or Sweet One) has now been shown to pass through the breast milk of mice and to affect long term sweet preference in their offspring. Men are clearly not crustaceans, mice or zebrafish. Nevertheless, I can’t help but wonder whether these sweet chemicals that were created in laboratories may impact human health in similar and undeniably detrimental ways. As far as I’m concerned, this is chance not worth taking. Here’s what I suggest with regard to the healthful incorporation of sweeteners in one’s diet: Natural sweetness can be found in many whole foods. That should be your first choice. Foods such as berries, coconuts, dates, jicama, kiwis and raw almonds are examples of health promoting whole foods that can satisfy your sweet tooth. If you desire added sweetness, opt for natural sugar substitutes that have generally demonstrated a positive safety profile. Purified stevia extracts and xylitol continue to shine in the medical literature. Unlike their artificial counterparts, stevia and xylitol may very well support wellness by reducing inflammation, insulin resistance, triglycerides, and possibly even protect against complications associated with diabetes and obesity, such as kidney damage. Int J Clin Pract. 2015 Jul 23. Systematic review of the relationship between artificial sweetener consumption and cancer in humans: analysis of 599,741 participants. BACKGROUND: The effect of artificial sweetener consumption on cancer risk has been debated in animal models for over four decades. To further investigate this relationship, this study aims to synthesise results from several of the most recent studies in humans. METHODS: An online literature search was performed in MEDLINE from 2003 to 2014 using Ovid, PubMed, Web of Science, and Scopus using keywords ‘artificial’, ‘sweetener’ and ‘cancer’. Ninety-two results were then manually assessed for eligibility. Studies were included if the relationship between artificial sweeteners and cancer was their central hypothesis, and if they adjusted for age, gender, smoking status and body mass index. Extracted data included study design, patient characteristics, outcome measure and results. RESULTS: In the five publications that satisfied the inclusion criteria, significant direct associations with artificial consumption were found for laryngeal (odds ratio, OR 2.34, 95% CI: 1.20-4.55), urinary tract tumours (OR 2.12, 95% CI: 1.22-3.89), non-Hodgkin lymphoma in men (RR 1.31, 95% CI: 1.01-1.72), multiple myeloma in men (RR 2.02, 95% CI: 1.20-3.40) and leukaemia (RR 1.42, 95% CI: 1.00-2.02). Inverse relationships were found in breast (OR 0.70, 95% CI: 0.54-0.91, p trend = 0.015) and ovarian (OR 0.56, 95% CI: 0.38-0.81, p trend < 0.001) cancers. CONCLUSION: The statistical value of this review is limited by the heterogeneity and observational designs of the included studies. Although there is limited evidence to suggest that heavy consumption may increase the risk of certain cancers, overall the data presented are inconclusive as to any relationship between artificial sweeteners and cancer. Non-caloric artificial sweeteners and the microbiome: findings and challenges. Non-caloric artificial sweeteners (NAS) are common food supplements consumed by millions worldwide as means of combating weight gain and diabetes, by retaining sweet taste without increasing caloric intake. While they are considered safe, there is increasing controversy regarding their potential ability to promote metabolic derangements in some humans. We recently demonstrated that NAS consumption could induce glucose intolerance in mice and distinct human subsets, by functionally altering the gut microbiome. In this commentary, we discuss these findings in the context of previous and recent works demonstrating the effects of NAS on host health and the microbiome, and the challenges and open questions that need to be addressed in understanding the effects of NAS consumption on human health. J Am Geriatr Soc. 2015 Apr;63(4):708-15. Diet soda intake is associated with long-term increases in waist circumference in a biethnic cohort of older adults: the San Antonio Longitudinal Study of Aging. OBJECTIVES: To examine the relationship between diet soda (DS) intake (DSI) and long-term waist circumference (WC) change (ΔWC) in the biethnic San Antonio Longitudinal Study of Aging (SALSA). PARTICIPANTS: SALSA examined 749 Mexican-American and European-American individuals aged 65 and older at baseline (baseline, 1992-96); 474 (79.1%) survivors completed follow-up 1 (FU1, 2000-01), 413 (73.4%) completed FU2 (2001-03), and 375 (71.0%) completed FU3 (2003-04). Participants completed a mean of 2.64 follow-up intervals, for 9.4 total follow-up years. RESULTS: Adjusted for initial WC, demographic characteristics, physical activity, diabetes mellitus, and smoking, mean interval ΔWC of DS users (2.11 cm, 95% confidence interval (CI) = 1.45-2.76 cm) was almost triple that of nonusers (0.77 cm, 95% CI = 0.29-1.23 cm) (P < .001). Adjusted interval ΔWCs were 0.77 cm (95% CI = 0.29-1.23 cm) for nonusers, 1.76 cm (95% CI = 0.96-2.57 cm) for occasional users, and 3.04 cm (95% CI = 1.82-4.26 cm) for daily users (P = .002 for trend). This translates to ΔWCs of 0.80 inches for nonusers, 1.83 inches for occasional users, and 3.16 for daily users over the total SALSA follow-up. In subanalyses stratified for selected covariates, ΔWC point estimates were consistently higher in DS users. Int J Clin Exp Med. 2015 Apr 15;8(4):6133-44. Alterations in lipid profile, oxidative stress and hepatic function in rat fed with saccharin and methyl-salicylates. BACKGROUND: Food additives attract consumers, improve foods quality, control weight, and replace sugar in foods, while it may affect seriously children and adults health. AIM: To investigate the adverse effects of saccharin and methylsalicyltaes on lipid profile, blood glucose, renal, hepatic function, and oxidative stress/antioxidant (lipid peroxidation, Catalase and reduced glutathione (GSH) in liver tissues). METHODS: 46 young male albino rats were used. Saccharin and methylsalicylate were giving orally as low and high dose for 30 days. Rats were divided into 5 groups, 1(st) control group, 2(nd) and 3(rd) low and high saccharin-treated groups and 4(th) and 5(th) low and high methylsalicylate-treated group. RESULTS: Serum total cholesterol, triglyceride, glucose levels and body weight gain were decreased in saccharin high dose compared to control. Rats ingested high dose of saccharin presented a significant reduction in serum triglycerides, cholesterol and LDL levels. Low and high doses of saccharin exhibited a significant increase in liver function marker of ALT, AST, ALP activity, total proteins and albumin levels and renal function test (urea and creatinine levels) in comparison with control group. Saccharin high dose induce a significant decline in hepatic GSH levels, catalase and SOD activities while increased in hepatic MDA level. CONCLUSION: It could be concluded that, saccharin affects harmfully and alters biochemical markers in hepatic and renal tissues not only at greater doses but also at low doses. Whereas uses of metylsalicylates would not pose a risk for renal function and hepatic oxidative markers. J Anim Sci. 2014 Apr;92(4):1630-8. Effects of a dietary sweetener on growth performance and health of stressed beef calves and on diet digestibility and plasma and urinary metabolite concentrations of healthy calves. Two experiments were conducted to explore the effects of a sodium saccharin-based dietary sweetener (Sucram) on growth performance, health, and physiological responses of feedlot steers. In Exp. 1, 173 newly-received male calves purchased from auction barns were fed 0, 100, 200, or 300 g of Sucram/t of DM over 56 d. Overall, ADG and G:F (P > 0.10) were not different among treatments, but steers receiving 200 g Sucram/t displayed numerically greater ADG (23%). In addition, DMI was 17% greater for steers receiving 200 g of Sucram/t compared to steers fed the control diet (cubic effect, P = 0.09). The morbidity rate for respiratory disease did not differ (P > 0.50) among treatments. In Exp. 2, 15 steers (initial BW = 261 ± 28 kg) were used to evaluate the effects of Sucram on apparent total tract digestibility, plasma metabolite concentrations, and urine monoamine metabolite concentrations. Treatments consisted of ad libitum access to a 60% concentrate diet (Control), ad libitum access to Control + 200 g of Sucram/t of DM (Adlib), and Control + 200 g of Sucram/t of DM with feed intake paired to the Control (Paired). By design, steer DMI during the metabolism period did not differ (P = 0.34) between Paired and Control, but DMI tended (P = 0.14) to be 8.2% greater for Adlib than for Control. Treatments did not alter (P > 0.17) apparent total tract nutrient digestibility. Postprandial plasma citrulline concentration was lower (P = 0.03) for Adlib than for Control and tended to be lower (P = 0.13) for Paired than for Control. Plasma homocysteine concentration was reduced (P < 0.03) by feeding Sucram. Urinary concentrations of ethylmalonic acid, vanillymandelic acid, and 5-hydroxyindolacetic acid were greater (P < 0.06) for Adlib than for Control; Paired steers had a greater (P = 0.02) urine vanillymandelic acid concentration than Control steers and tended (P < 0.12) to have a greater urinary concentration of ethylmalonic and 5-hydroxyindolacetic acid than Control steers. Serum insulin was greater for Adlib than for Control steers (P = 0.04) and tended to be greater for Paired than for Control steers (P = 0.14), but serum prolactin area did not differ (P > 0.22) among treatments. Supplementation with Sucram may increase feed intake by newly-received, stressed feedlot calves. Saccharin supplementation reduced plasma homocysteine and increased urinary excretion of vanillymandelic acid, suggesting an improved activity of the dopamine reward system. Nutr Hosp. 2016 Nov 29;33(6):1372-1378. A randomized control trial for reduction of caloric and non-caloric sweetened beverages in young adults: effects in weight, body composition and blood pressure. INTRODUCTION: Recently has been documented that the consumption of sweetened non-caloric beverages has increased as an option to weight control, however randomized control trials have demonstrated a modest weight loss. OBJECTIVE: To evaluate the effect of reducing consumption of beverage with caloric and non-caloric sweeteners on weight, body composition and blood pressure in young Mexican adults. METHODS: In an experimental study 148 nursing students were randomly assigned to one of 3 groups: 1) no sweetened beverages were permitted, only plain water, tea or coffee without sugar; 2) consumption of beverages with non-caloric sweeteners was allowed; and 3) no restriction of sweetened beverages was imposed. All groups were given individualized isocaloric diets monitored by a 24-hour record of consumption and food frequency questionnaire and blood pressure, weight, waist circumference and body composition by tetrapolar bioelectric impedance were taken at the beginning of the study and three and six months later. RESULTS: Differences between groups were found in body mass index at 3 months that decrease in group 1 and 2 and increase in group 3 (-1.75 vs.-0.61 vs.0.54% of change, p < 0.001). At six months there were also statistical differences in waist circumference (-4.07 vs.-1.23 vs. 0.62% of change, p < 0.001) and sugar consumption (-62.0 vs.-54.61 vs.11.08% of change, p < 0.001) in groups 1, 2 and 3 respectively. CONCLUSIONS: The reduction in consumption of both caloric and non-caloric sweetened beverages contributes to significant body mass index loss and waist circumference. Redox Biol. 2017 Feb 1;11:701-707. Chronic aspartame intake causes changes in the trans-sulphuration pathway, glutathione depletion and liver damage in mice. No-caloric sweeteners, such as aspartame, are widely used in various food and beverages to prevent the increasing rates of obesity and diabetes mellitus, acting as tools in helping control caloric intake. Aspartame is metabolized to phenylalanine, aspartic acid, and methanol. Our aim was to study the effect of chronic administration of aspartame on glutathione redox status and on the trans-sulphuration pathway in mouse liver. Mice were divided into three groups: control; treated daily with aspartame for 90 days; and treated with aspartame plus N-acetylcysteine (NAC). Chronic administration of aspartame increased plasma alanine aminotransferase (ALT) and aspartate aminotransferase activities and caused liver injury as well as marked decreased hepatic levels of reduced glutathione (GSH), oxidized glutathione (GSSG), γ-glutamylcysteine ​​(γ-GC), and most metabolites of the trans-sulphuration pathway, such as cysteine, S-adenosylmethionine (SAM), and S-adenosylhomocysteine ​​(SAH). Aspartame also triggered a decrease in mRNA and protein levels of the catalytic subunit of glutamate cysteine ligase (GCLc) and cystathionine γ-lyase, and in protein levels of methionine adenosyltransferase 1A and 2A. N-acetylcysteine prevented the aspartame-induced liver injury and the increase in plasma ALT activity as well as the decrease in GSH, γ-GC, cysteine, SAM and SAH levels and GCLc protein levels. In conclusion, chronic administration of aspartame caused marked hepatic GSH depletion, which should be ascribed to GCLc down-regulation and decreased cysteine levels. Aspartame triggered blockade of the trans-sulphuration pathway at two steps, cystathionine γ-lyase and methionine adenosyltransferases. NAC restored glutathione levels as well as the impairment of the trans-sulphuration pathway. Int J Epidemiol. 2017 Jun 6. Results: Approximately half of women reported consuming ASBs during pregnancy and 9% consumed daily. Compared to never consumption, daily ASB intake during pregnancy was positively associated with offspring large-for-gestational age [adjusted relative risk (aRR) 1.57; 95% CI: 1.05, 2.35 at birth], BMIZ (adjusted β 0.59; 95% CI: 0.23, 0.96) and overweight/obesity (aRR 1.93; 95% CI; 1.24, 3.01) at 7 years. Per-serving-per-day substitution of ASBs with water during pregnancy was related to a lower overweight/obesity risk at 7 years (aRR 0.83; 95% CI: 0.76, 0.91), whereas SSB substitution with ASBs was not related to a lower risk (aRR 1.14; 95% CI: 1.00, 1.31). Cell Metab. 2017 Aug 1;26(2):279-280. 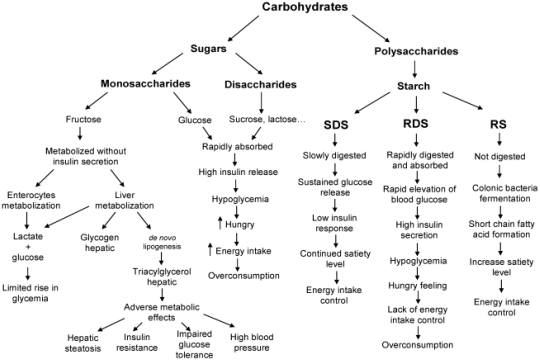 Chronic Sucralose or L-Glucose Ingestion Does Not Suppress Food Intake. Despite widespread consumption of non-nutritive sweeteners (NNSs), the impact of manipulating the perceived sweetness of food is unclear. 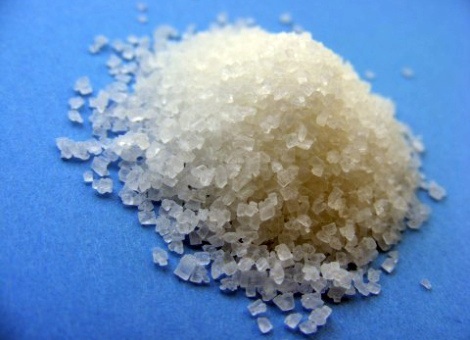 Previously we reported that chronic consumption of the NNSs sucralose or L-glucose led to increased calories consumed post-exposure; however, a recent study suggested this effect occurs because NNSs acutely suppress food intake, leading to a caloric debt. Here we show that acute ingestion of sucralose in the context of a low-carbohydrate diet causes a pronounced increase in calories consumed. Moreover, neither sucralose nor L-glucose had a lasting effect on food intake during chronic exposure; however, both NNSs enhance food intake post-exposure. Together these data confirm that sucralose and L-glucose promote food intake under a variety of experimental conditions. Int J Obes (Lond). 2017 Dec 21. Effects of replacing diet beverages with water on weight loss and weight maintenance: 18-month follow-up, randomized clinical trial. BACKGROUND: Beneficial effects of replacing diet beverages (DBs) with water on weight loss, during a 24-week hypoenergetic diet were previously observed. However, it is not known whether this difference is sustained during a subsequent 12-month weight maintenance period. OBJECTIVE: To evaluate effects of replacing DBs with water on body weight maintenance over a 12-month period in participants who undertook a 6-month weight loss plan. DESIGN: Seventy-one obese and overweight adult women (body mass index (BMI): 27-40 kg m-2; age: 18-50 years) who usually consumed DBs in their diet were randomly assigned to either substitute water for DBs (water group: 35) or continue drinking DBs five times per week (DBs group: 36) after their lunch for the 6-month weight loss intervention and subsequent 12-month weight maintenance program. RESULTS: A total of 71 participants who were randomly assigned were included in the study by using an intention-to-treat analysis. Greater additional weight loss (mean±s.d.) in the water group was observed compared with the DBs group after the 12-month follow-up period (-1.7±2.8 vs -0.1±2.7 kg, P=0.001). BMI decreased more in the water group than in the DBs group (-0.7±1 vs -0.05±1.1 kg m-2, P=0.003). There was also a greater reduction in fasting insulin levels (-0.5±1.4 vs -0.02±1.5 mmol l-1, P=0.023), better improvement in homeostasis model assessment of insulin resistance (-0.2±0.4 vs -0.1±0.3, P=0.013) and a greater decrease in 2-h postprandial plasma glucose (-0.2±0.3 vs -0.1±0.3 mmol l-1, P<0.001) in the water group compared with the DBs over the 12-month weight maintenance period. CONCLUSIONS: Replacement of DBs with water after the main meal in women who were regular users of DBs may cause further weight reduction during a 12-month weight maintenance program. It may also offer benefits in carbohydrate metabolism including improvement of insulin resistance over the long-term weight maintenance period.